Tangled is a take on the Rapunzel fairytale. After being kidnapped as a baby and raised by her evil “mother”, Rapunzel must live in a tower all alone except her companion gecko Pascal. 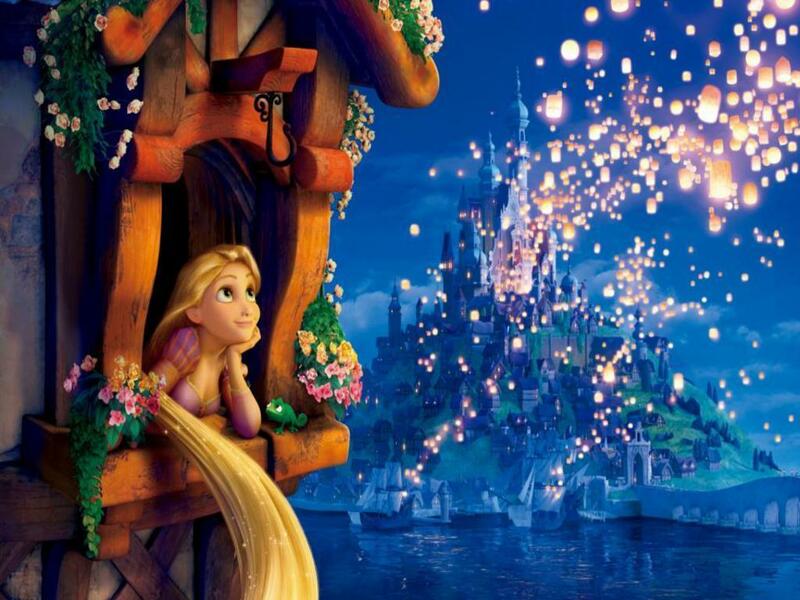 Her dream though is to leave the tower and see the annual lanterns released from the nearby royal castle. Instead of following the classic tale where she waits for a man to rescue her, Rapunzel takes matters into her own hands. A guy sneaks into her tower, and she attacks/ties him up before demanding he take her to the royal castle. Little does she know he has an ulterior motive, and her “mother” will be chasing after them their entire journey. Since she’s spent nearly her entire life locked in a tower, Rapunzel must find ways to entertain herself. Among the hobbies she chooses is baking. How she manages to bake all of these goodies day in day out and not become obese, we’ll never know. I can only assume it’s part of the Disney magic. 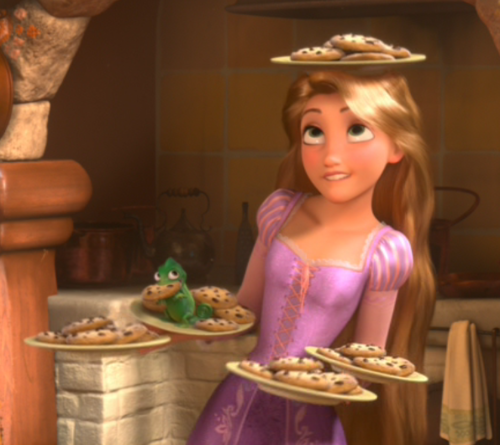 The warm and gooey chocolate chip cookies Rapunzel and Pascal bake were the best looking baked goods to me. So I went the easy route and made 3-ingredient chocolate chip cookies. 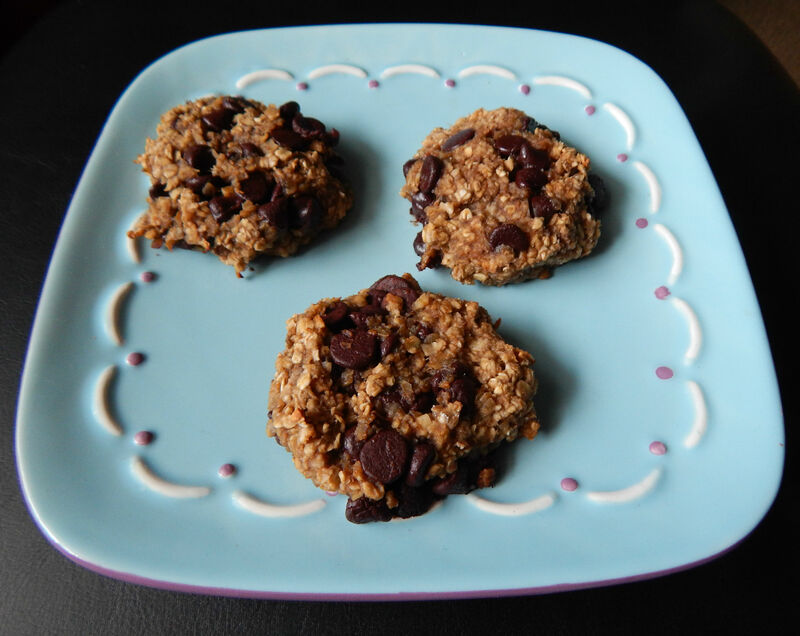 Though the banana taste is a bit strong with this, it’s still amazingly simple and a satisfying treat.